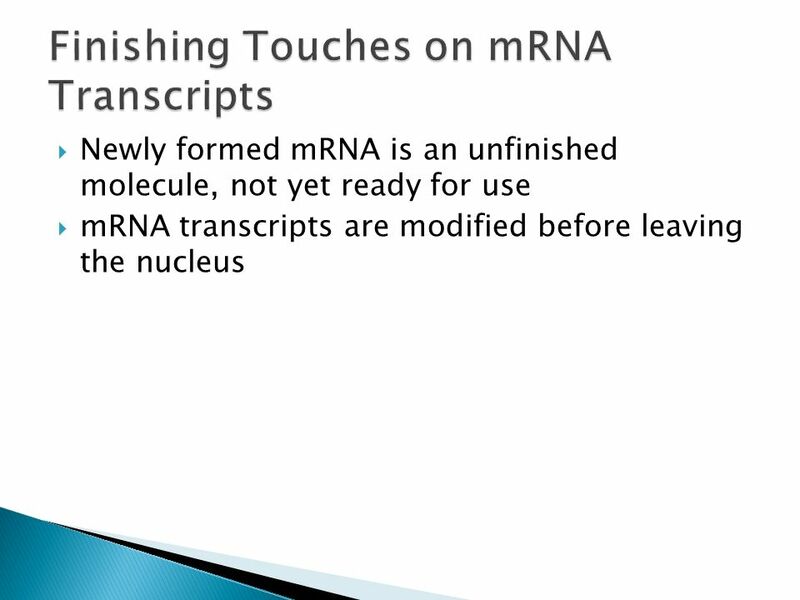 Download ppt "How is RNA Transcribed from DNA"
CH 11.4 & 11.5 “DNA to Polypeptide”. 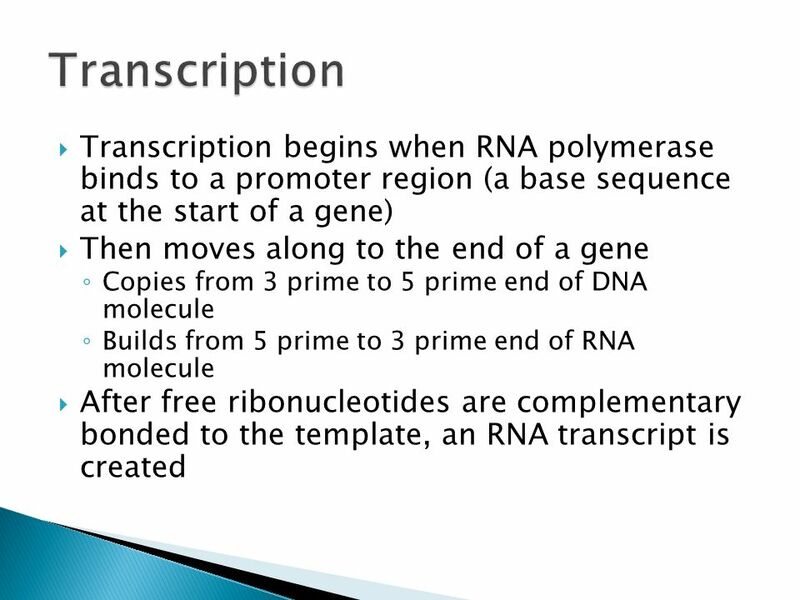 RNA (Ribonucleic Acid) and Transcription Chapter 10. 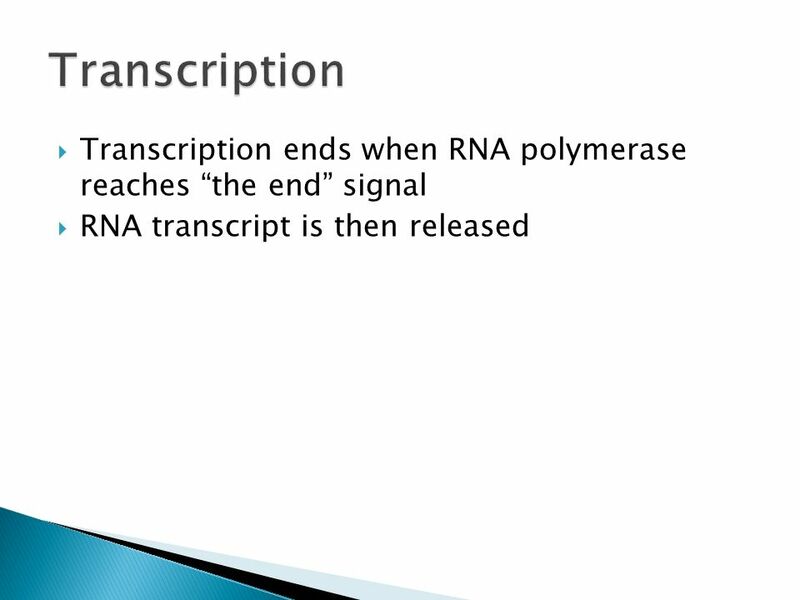 Transcription & Translation Biology 6(C). 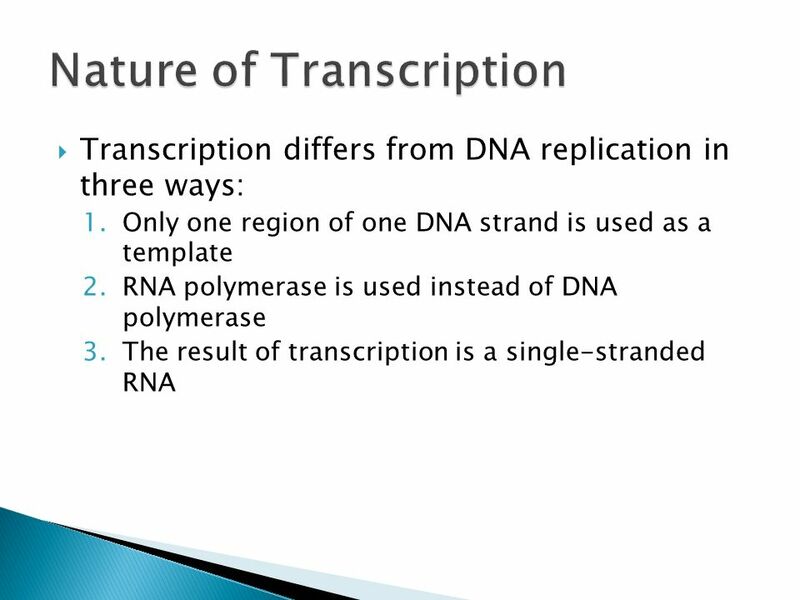 Learning Objectives Describe how DNA is used to make protein Explain process of transcription Explain process. 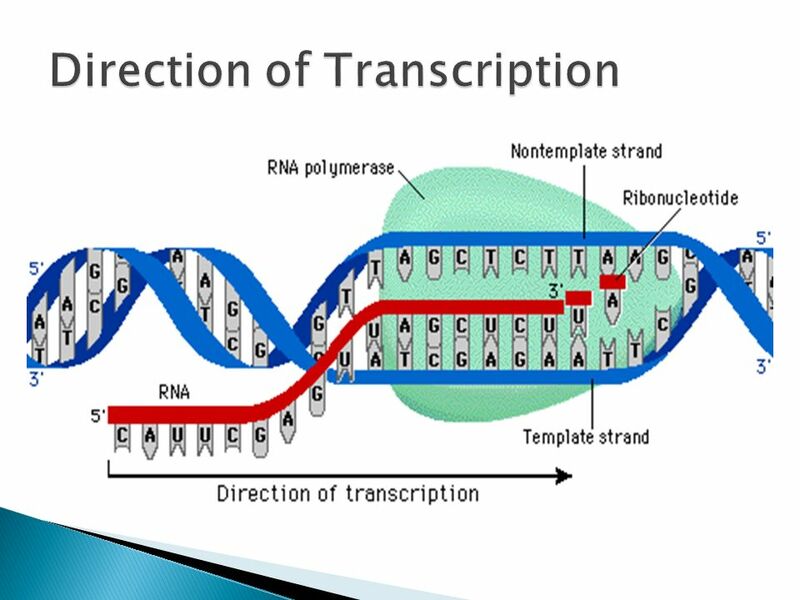 DNA Structure Replication Functions (Stores and provides copies of genetic material- genes) – Blueprint (genes) for Protein Synthesis (Enzymes and cell. 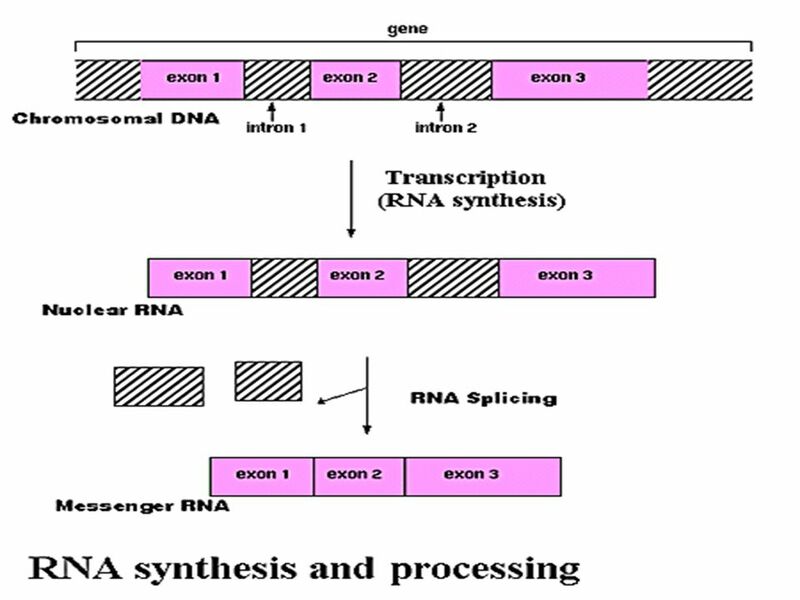 FROM GENE TO PROTEIN: TRANSCRIPTION & RNA PROCESSING Chapter 17. 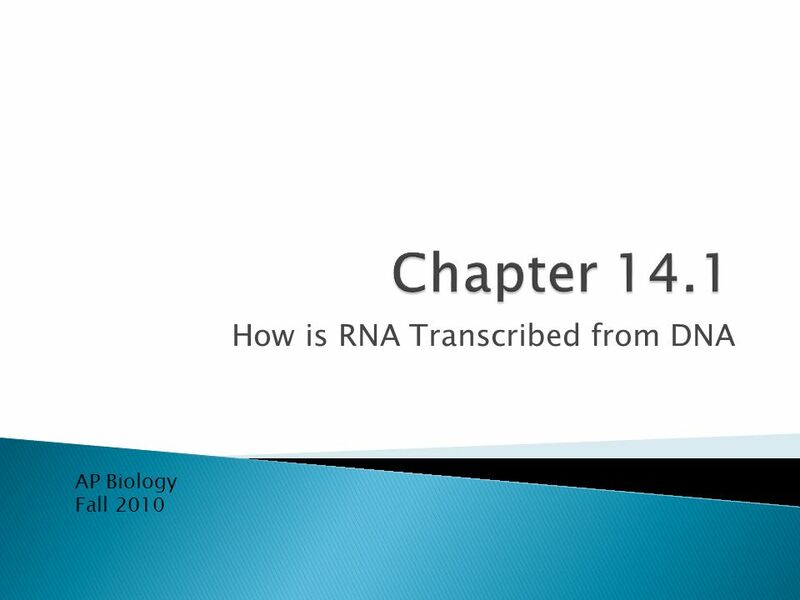 Chapter 11 DNA and Genes. Proteins Form structures and control chemical reactions in cells. 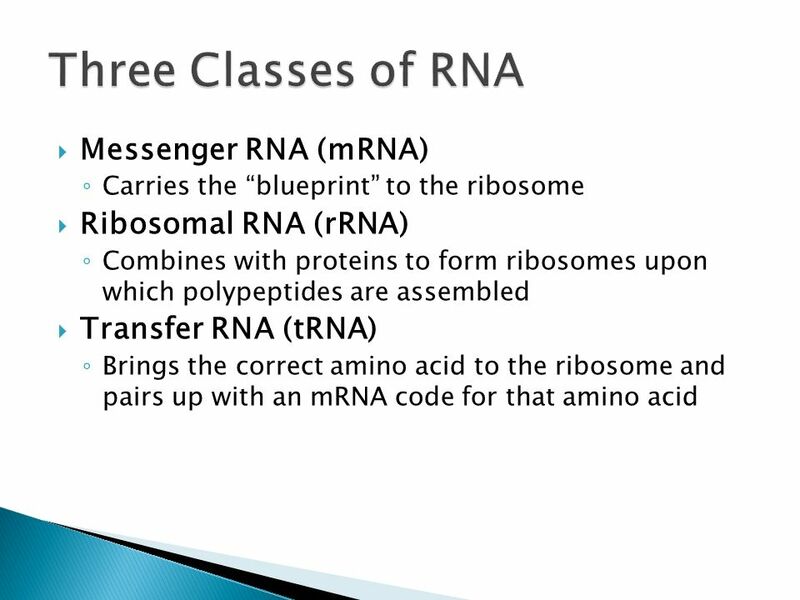 Polymers of amino acids. 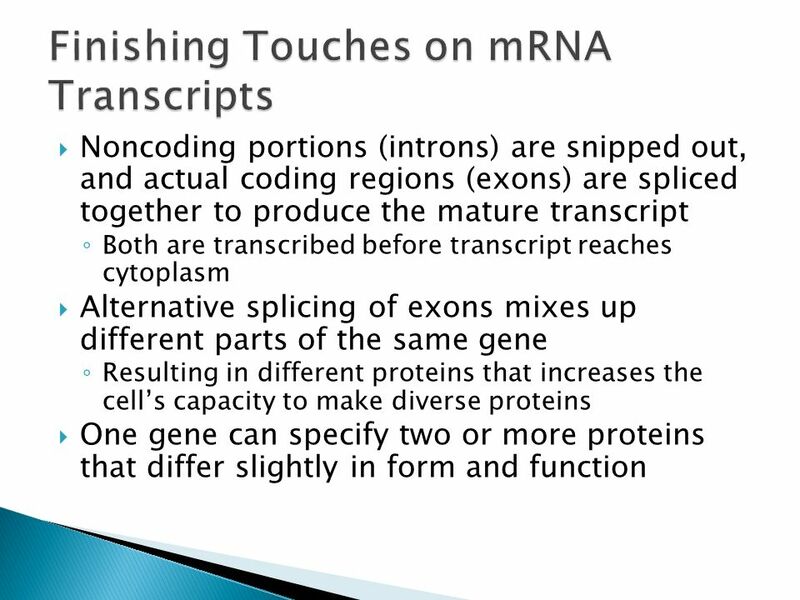 Coded for by specific sequences of. 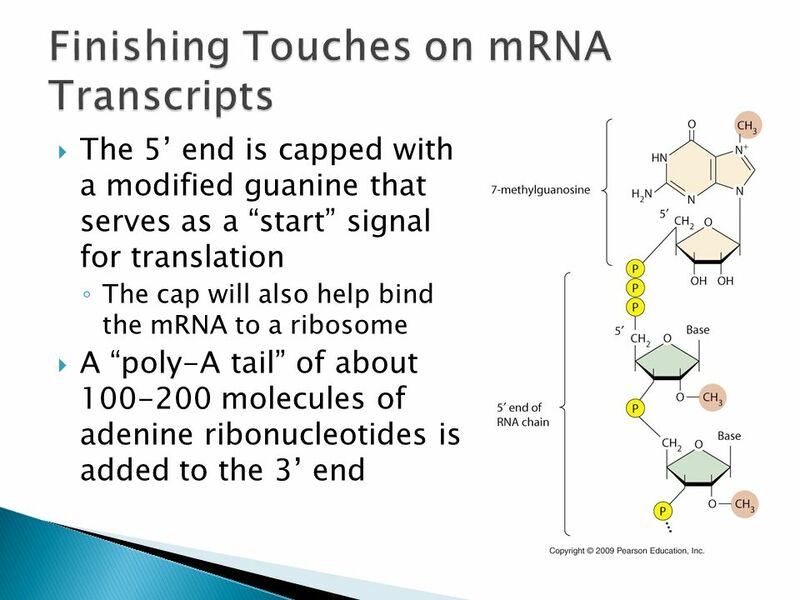 RNA Ribonucleic acid single stranded also made of nucleotides. 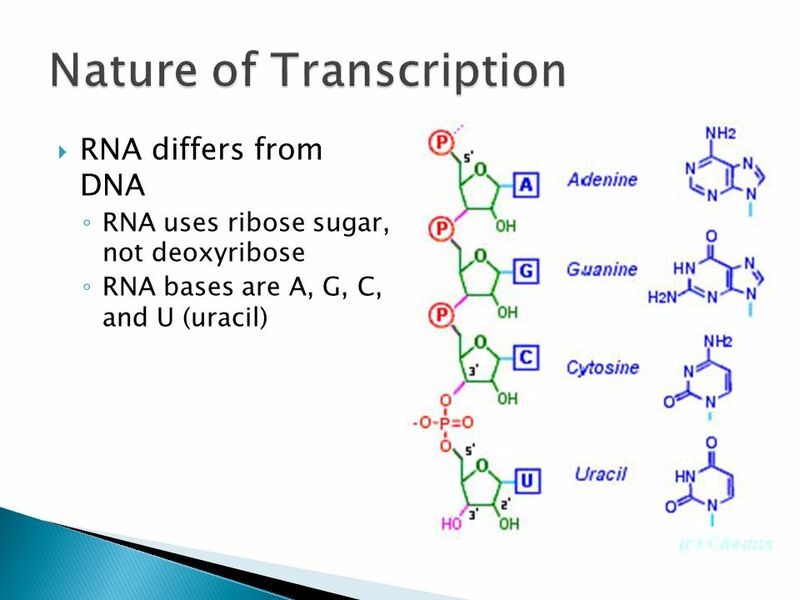 NUCLEIC ACIDS AND PROTEIN SYNTHESIS. QUESTION 1 DNA. 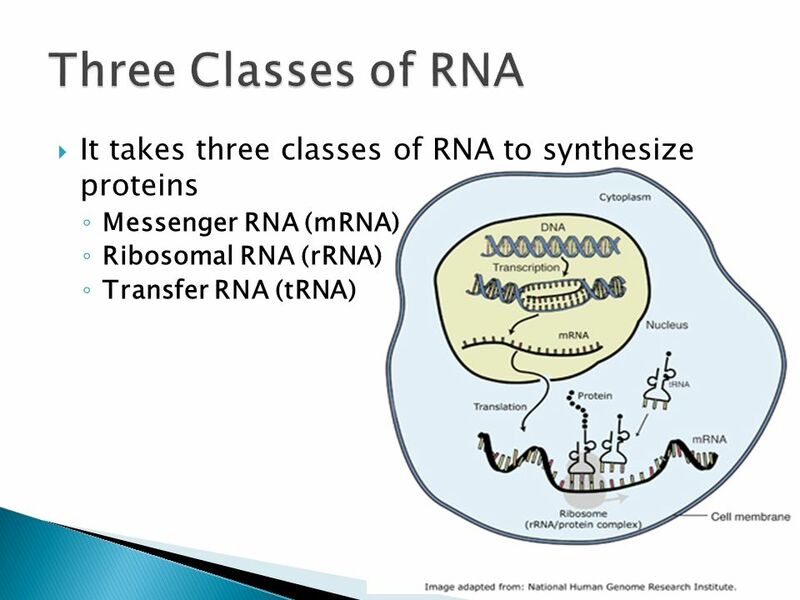 Protein Synthesis. 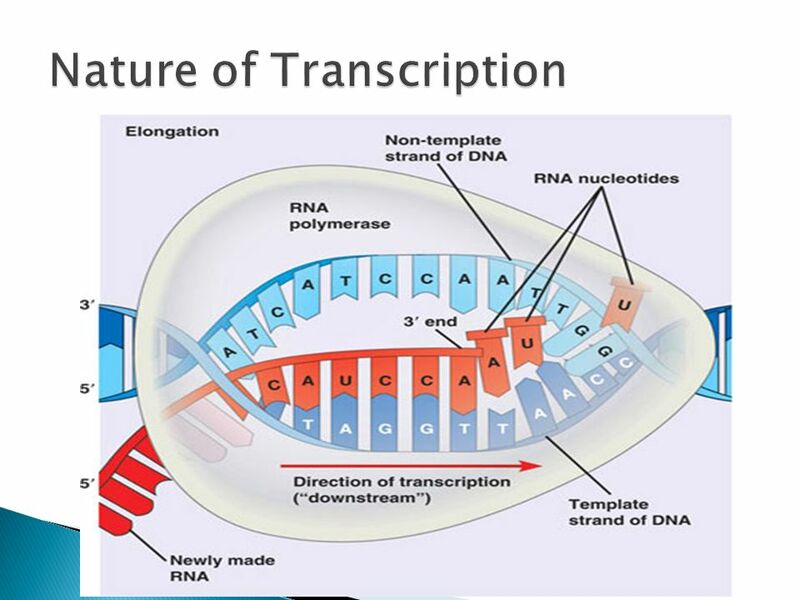 DNA acts like an "instruction manual“ – it provides all the information needed to function the actual work of translating the information.